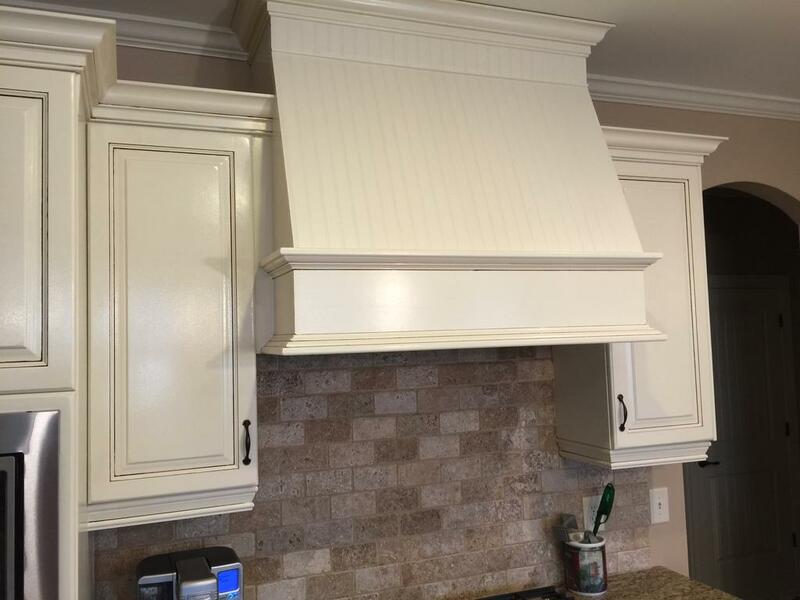 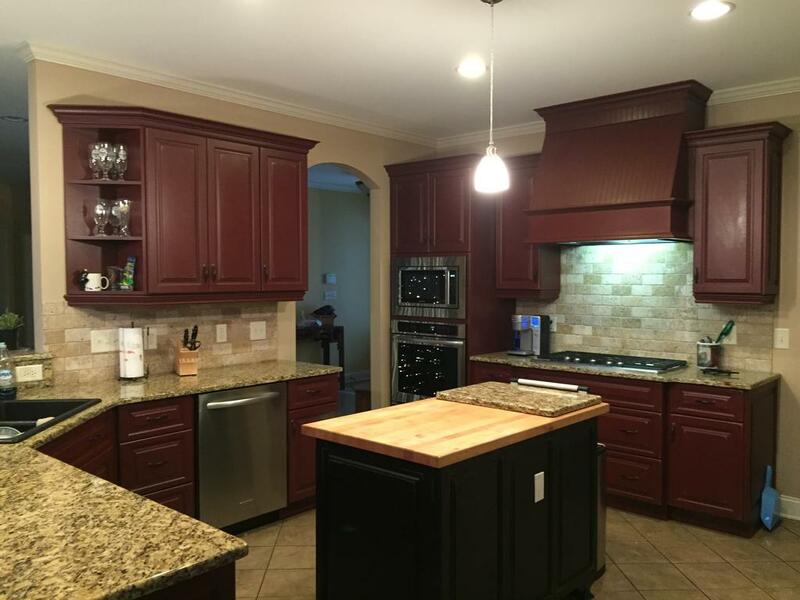 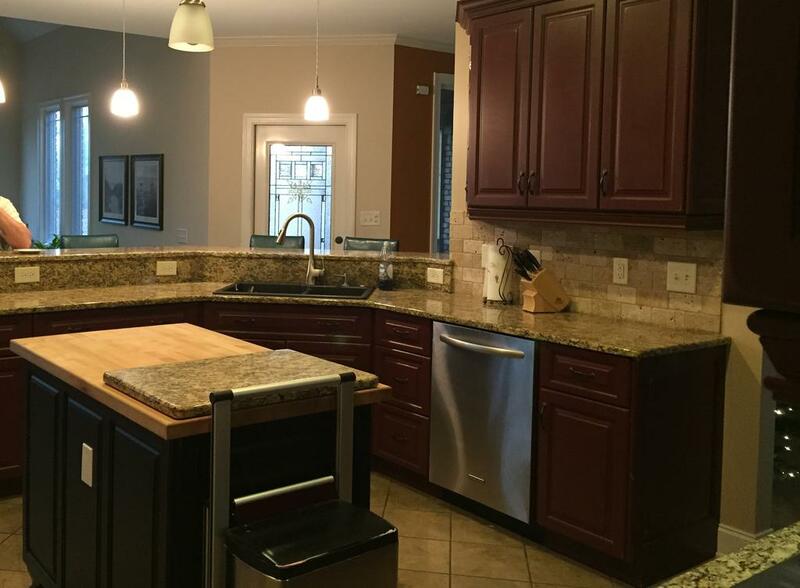 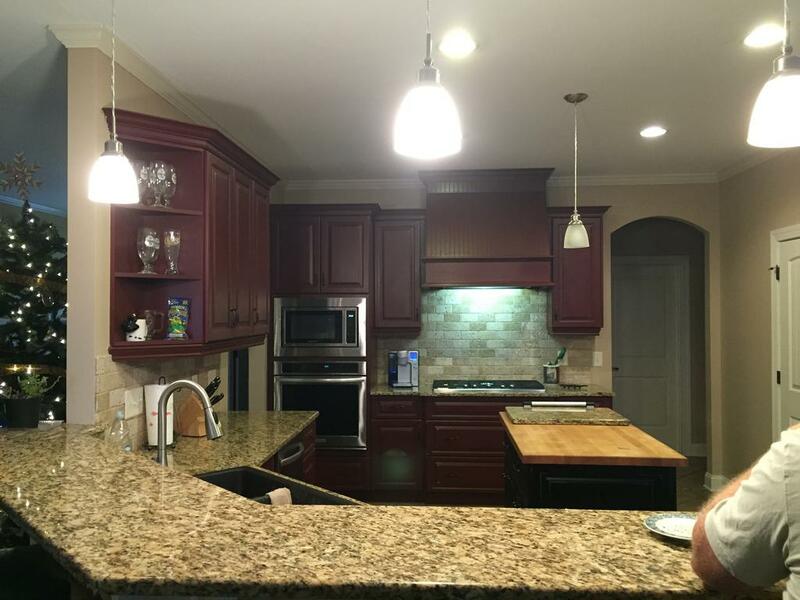 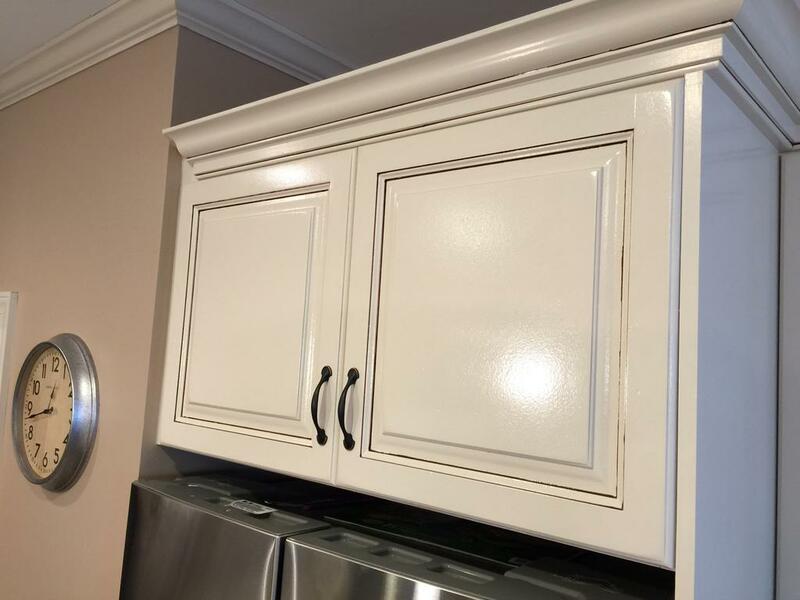 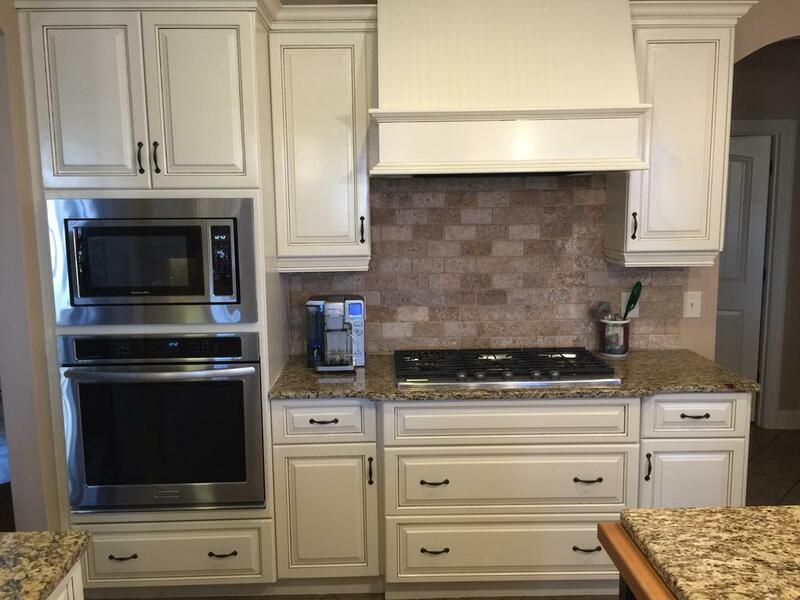 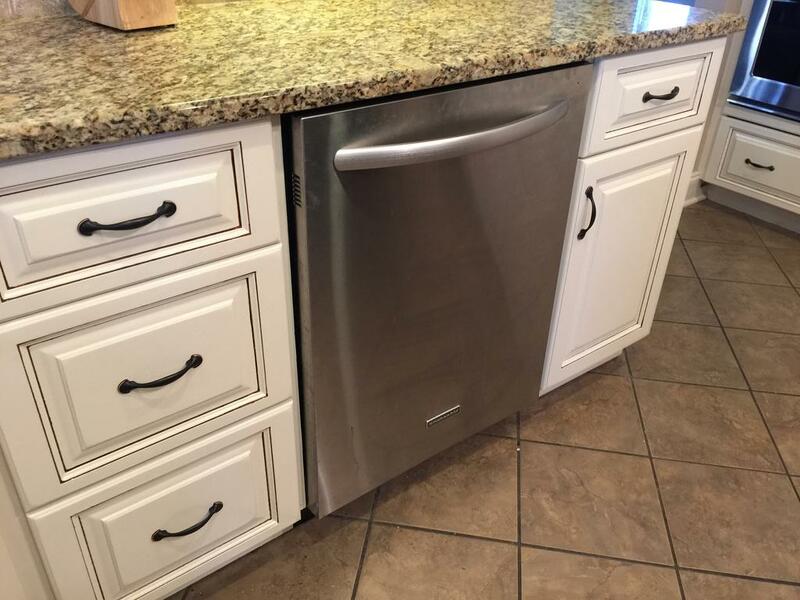 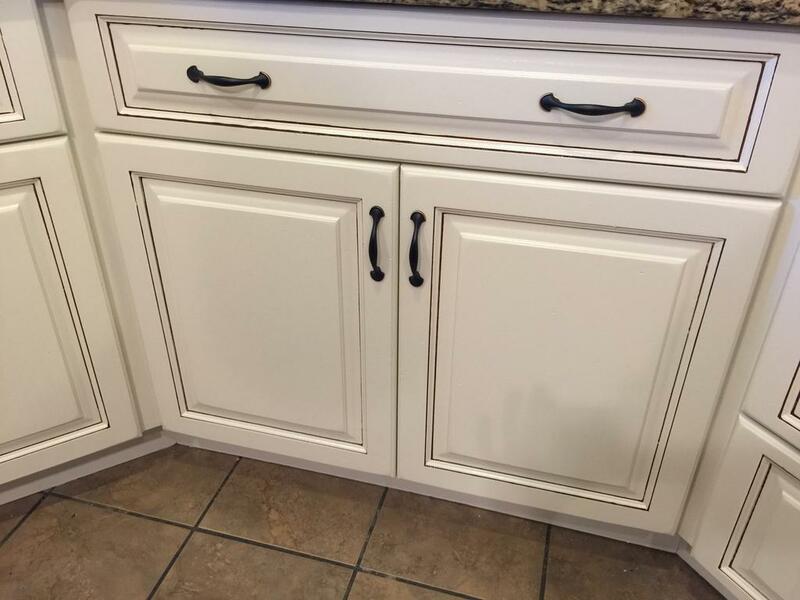 What do you do when you buy a house that has amazing cabinets but they’re, ahem, burgundy? 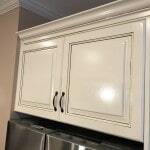 You have them painted of course. 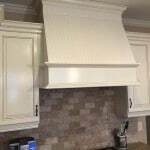 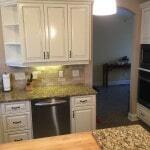 Our homeowners needed to brighten up their kitchen. 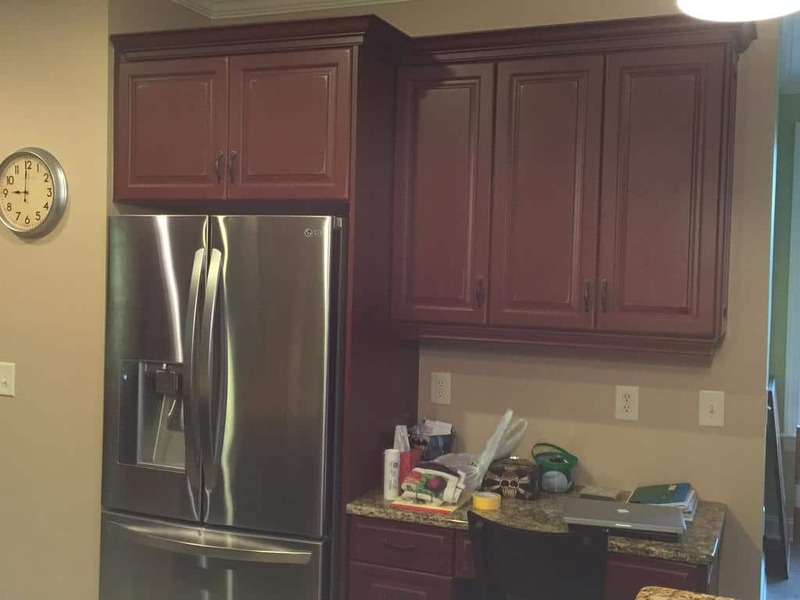 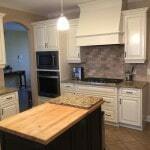 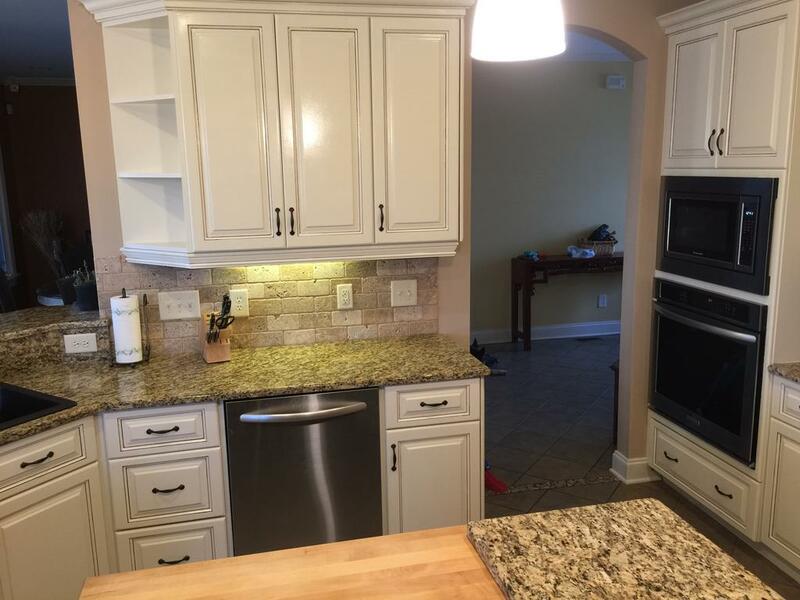 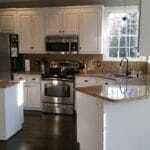 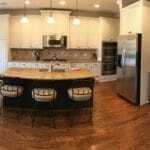 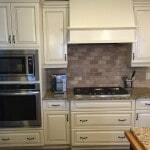 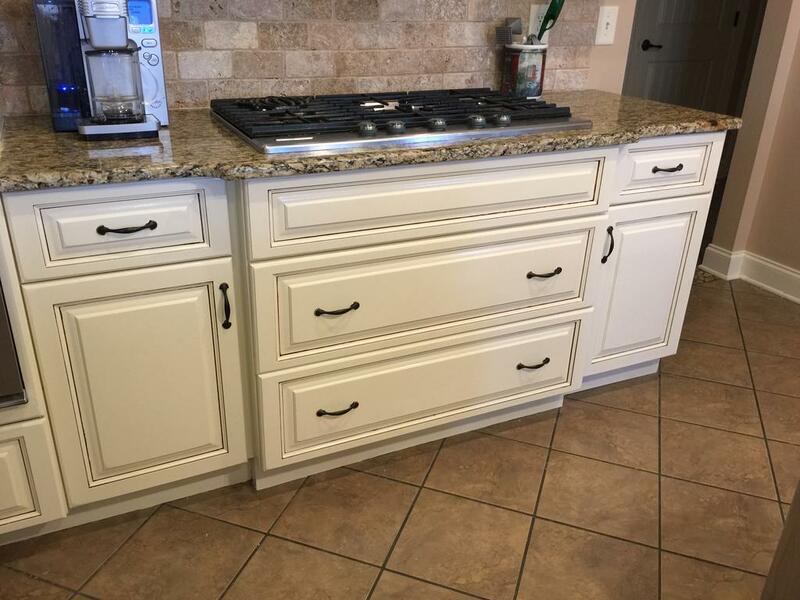 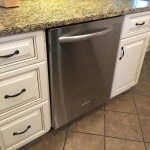 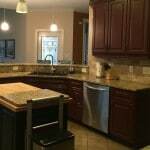 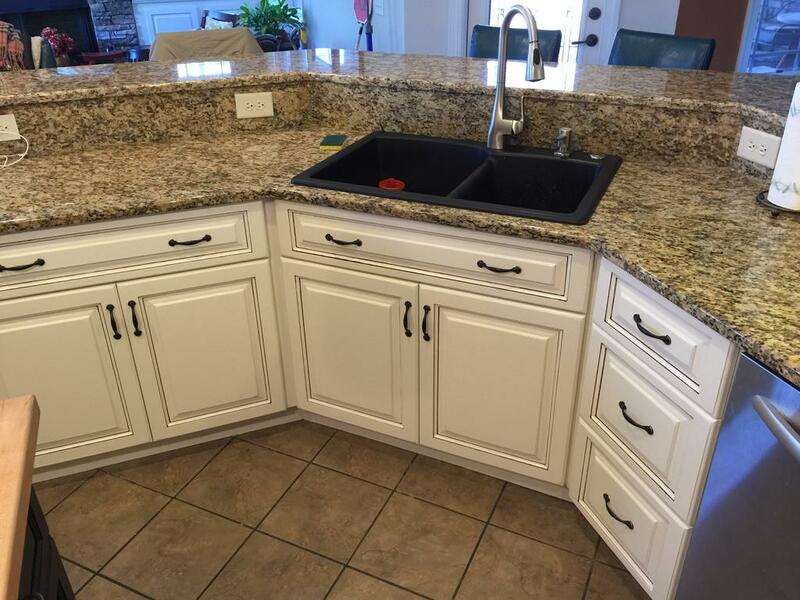 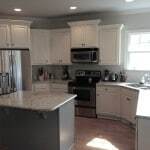 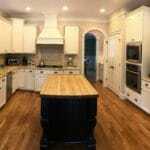 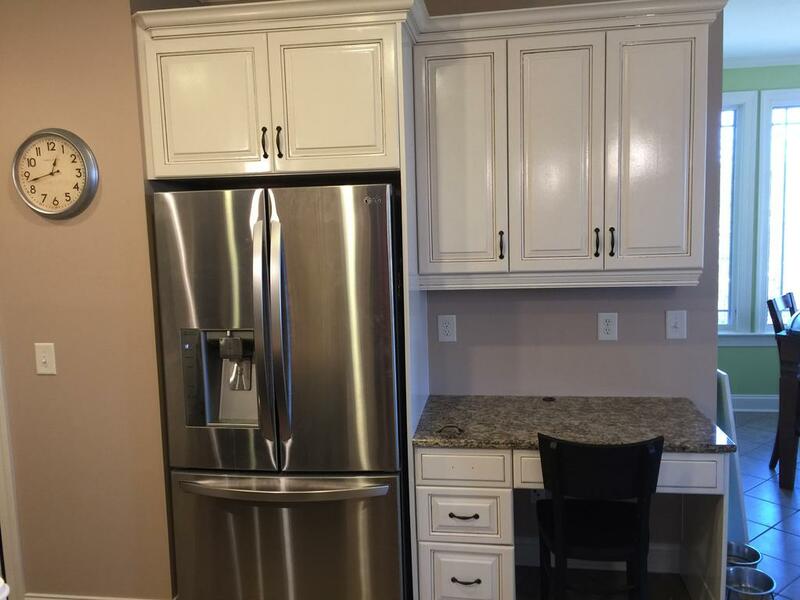 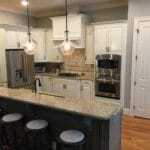 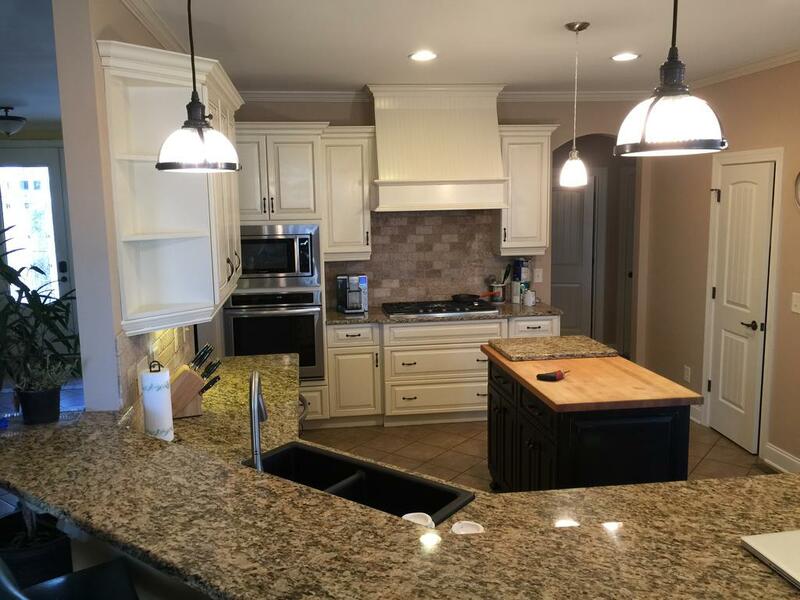 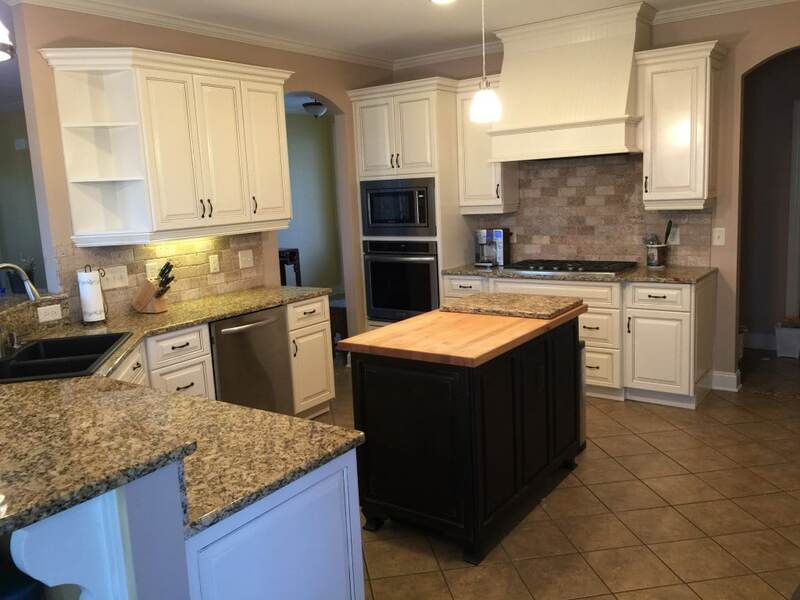 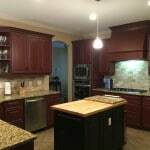 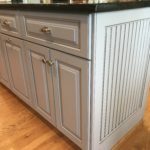 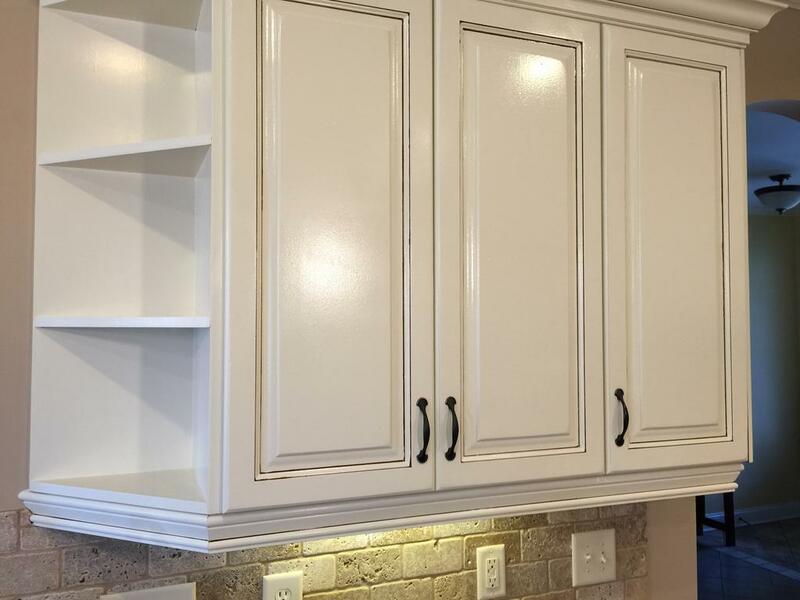 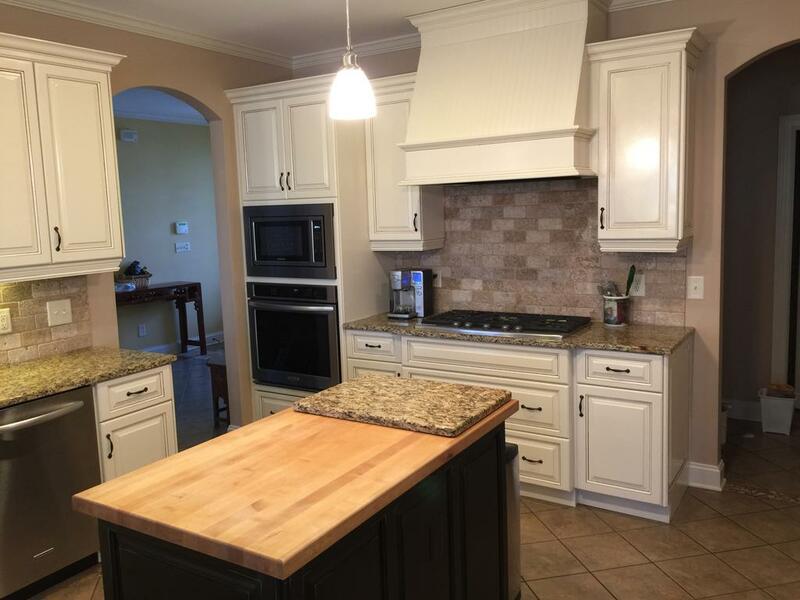 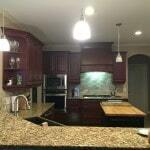 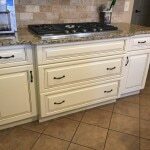 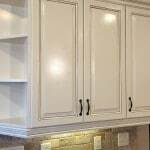 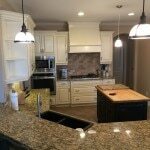 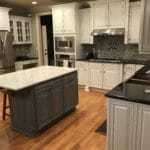 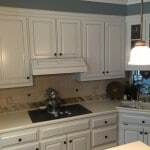 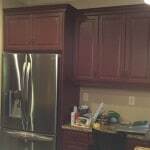 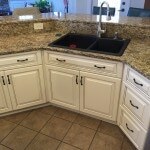 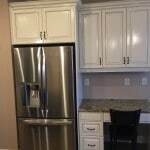 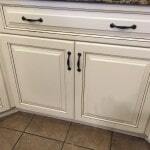 It received no natural light, and the dark colored cabinets weren’t helping matters. 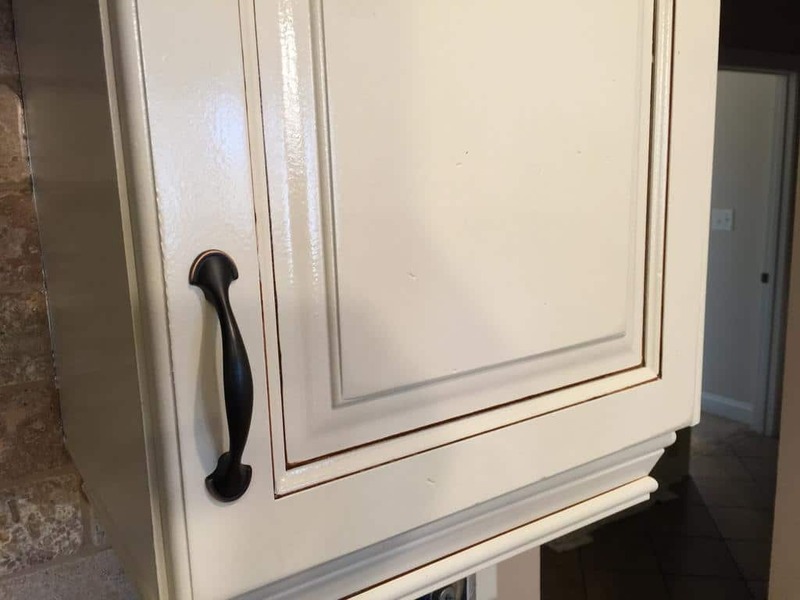 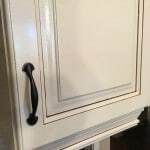 So we used Sherwin Williams’ Casa Blanca to lighten things up, and mocha glaze to make the door details pop. 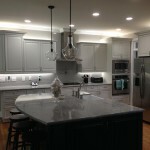 Now it’s a little slice of perfection!